Dear users of laser tag equipment from LASERWAR! We always give proper consideration to your wishes and requests as to the operation of play sets and devices and we try to take into account your recommendations when modernizing a program and introducing changes to it. For when it comes to such a matter, can anything really compare to the experience of playing games? Thank you for sharing your thoughts with the producer. We aim to materialise our plans. 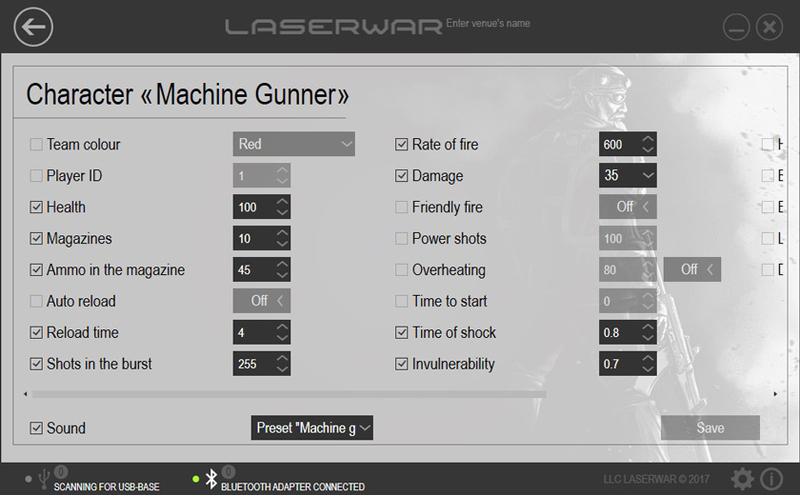 We have updated the LASERWAR configurator program for Windows once again. Changes have been done to the devices section, i.e. “Smart control point”. The values range for all time parameters has now been increased. For example, the maximum time value for the “Control point capture” scenario is now 3599 seconds. The new settings that have been added to characters presets increase possibilities during a game when a player is wounded: Health regeneration, Bleeding start, Bleeding interval, Background illumination level, Colour at wounding. We are convinced that these changes will help vary scenarios and will give more scope for the imagination of laser tag game organizers. 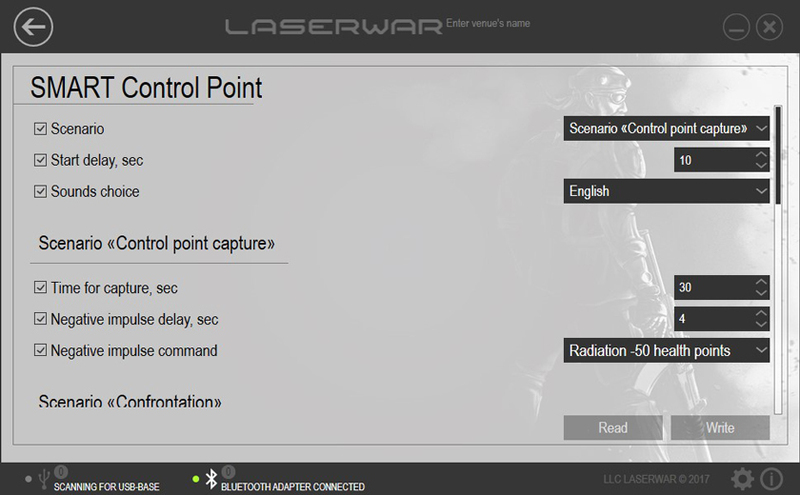 Update your LASERWAR configurator to the latest version and take advantage of its new possibilities!